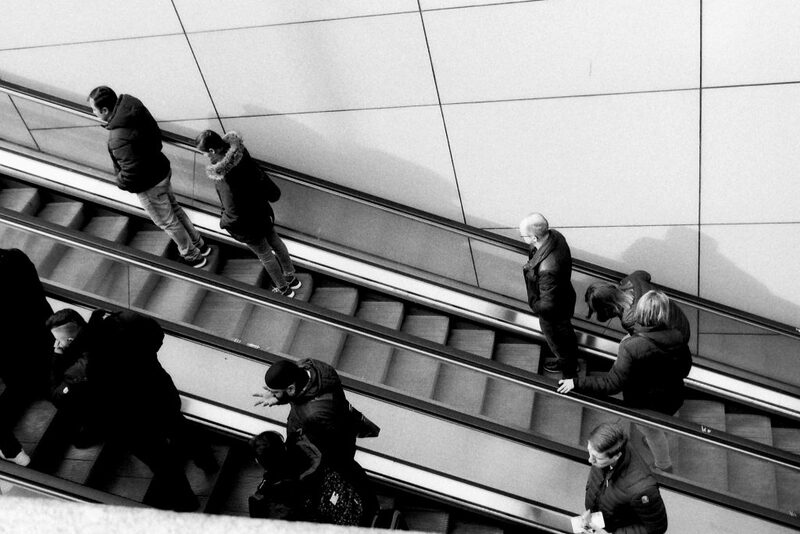 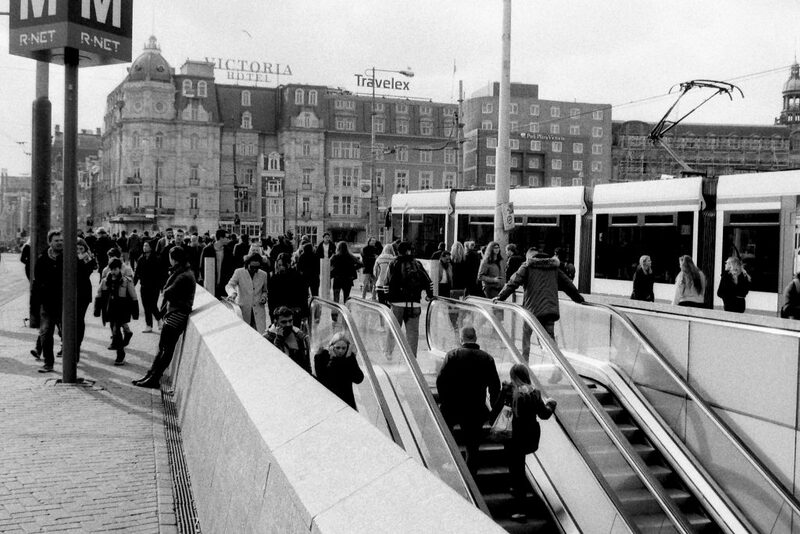 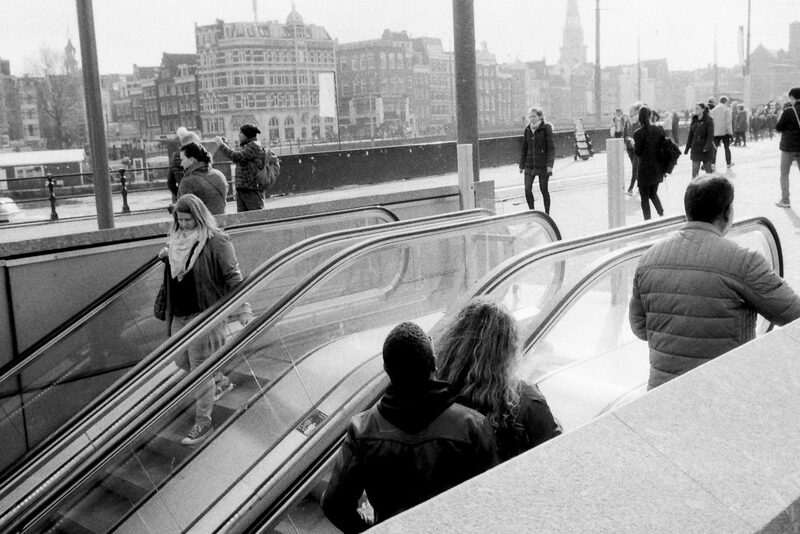 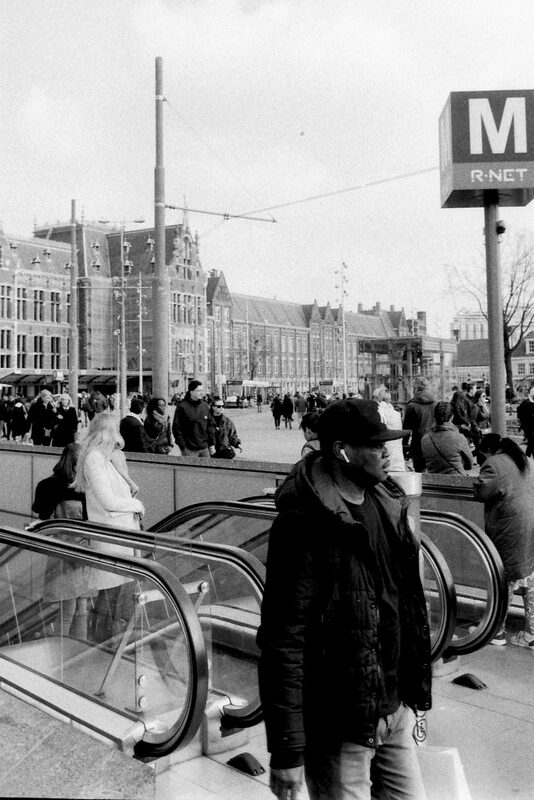 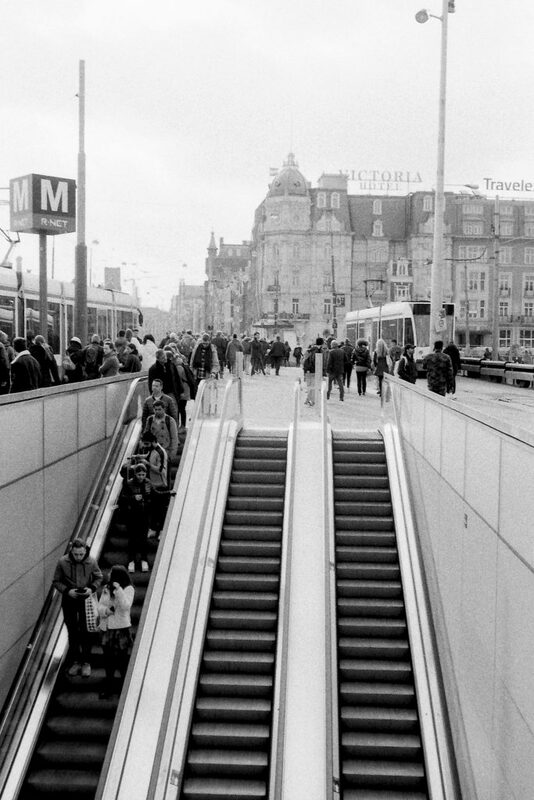 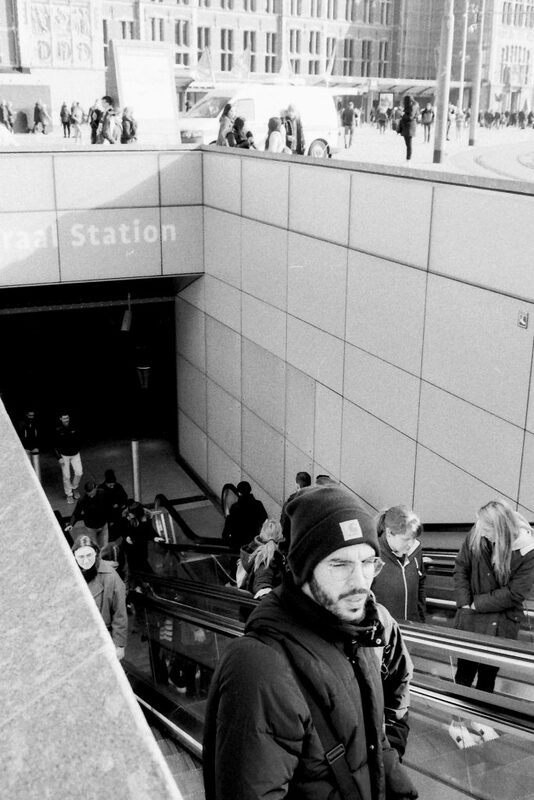 Recently I took a few shots on a roll of HP5 of a escalator close to Amsterdam central station. 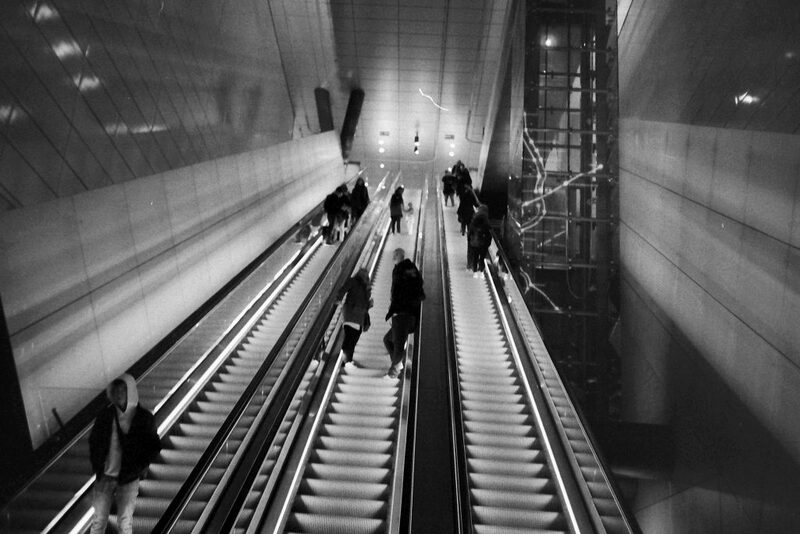 I love the reflections and leading lines of those escalators so it was reason enough for me to return to them with a fresh roll of film and see what I could get. 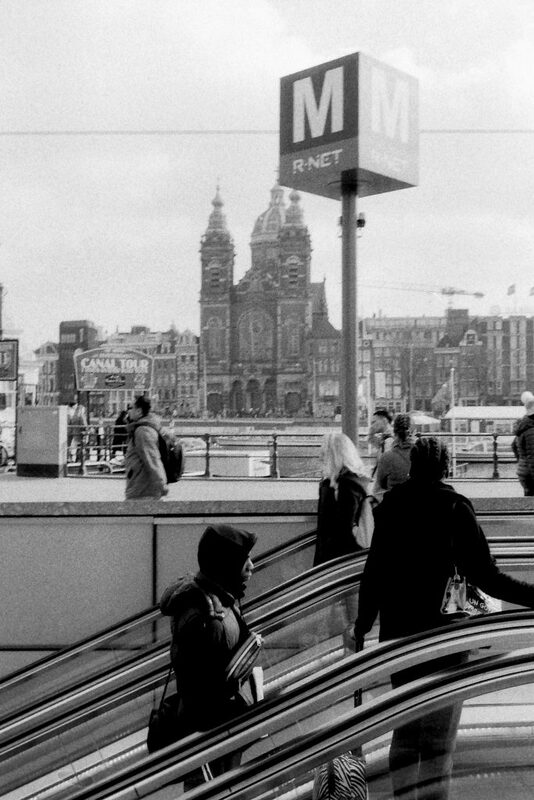 I must say I am pretty okay with the results, altough ‘the shot’ isn’t really there. 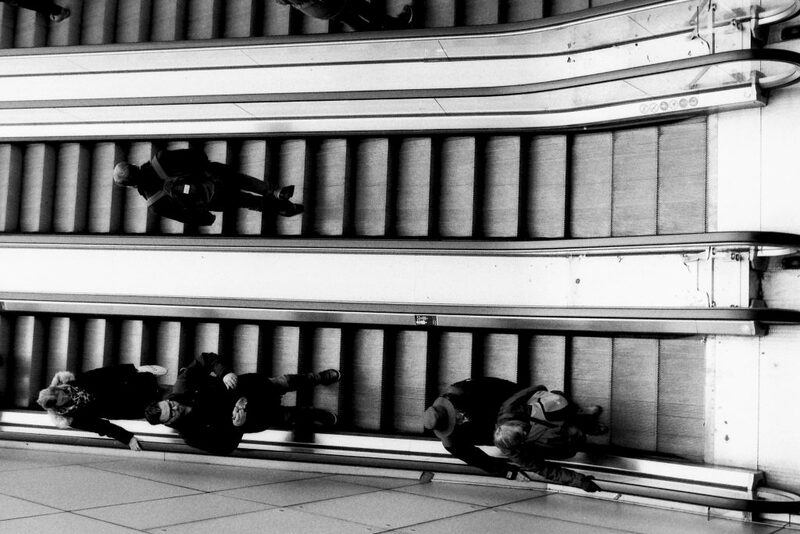 Next time I will have to aim from a little lower angle I guess.